This time around I’m going to keep this quick and simple just like my game. Cave tale is a simple memory game, somewhat resembling games such as “Simon says”. All you have to do is remember the order of the drawings given. Simple enough, right? This time around I was on vacation when Ludum Dare took place. I didn’t want to just not participate, so I ended up throwing this game together in about 2-3 hours of real time. It was quite simple really, but it wouldn’t make such a bad phone game when I think about it. Well, that’s pretty much all I wanted to say. With less then 3 hours left I have but one request! Please help me reach 50 votes until the deadline! I’d highly appreciate it! Also, please post your games in the comments! I’ll try to get to them if I don’t fall asleep! It’s probably a little late to introduce games at this moment but I’m still going for it! I honestly loved this ludum dare. The theme challenged me a little but I managed having an idea in about an hour. What I ended up creating was +/- what I had imagined, which is pleasing in it’s own way. I’m not sure how to exactly generalize this game but essentially it’s a turn based strategic board game (?). The game I made is “Kingdom of Metamorphs”! There’s probably a little bit of question where my theme implementation is in this game. Well, some people don’t notice (of course anyone who plays enough to get to combat notices) that the ATK and DEF switch places after every end turn and that’s honestly completely my fault. ATK mode is indicated by the square, DEF mode by the circle. It’s honestly my mistake, since I should have added some kind of a noticeable effect to the switching. But don’t worry, the theme is definitely there and I think it really suits the game well. 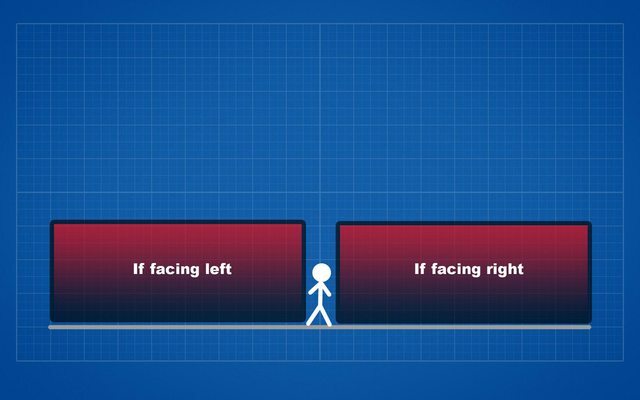 It makes you think twice before making a move! -I’m honestly not an art person. I tried my best to make the cards no be blank and to make a few pretty assets but that’s honestly all I managed. The minions could really use some kind of graphics, instead of just being cubes and circles. -I think it’s not very obvious where my theme implementation is, especially if people don’t go to in-depth to the game. It needs some kind of an effect, switching the attack and defense points because it’s honestly not that noticeable at first. -The game definitely needs some sounds and audio. Strategic games like these can do without such things but it would still be a nice touch and would improve the atmosphere quite a bit. -Even though I added an explanation, it didn’t do a very good job of explaining everything, since the game does have a pretty steep learning curve. The tip box definitely helped with the cause, giving the instructions for your first turn but I still feel like I should have explained combat, switching, and cards in a tutorial level and then commence with the game. -The color I chose for showing unused minions (black) was simply stupid, since it wasn’t noticeable enough. I fixed it in the post compo. -I didn’t add a win/lose screen. I fixed it in the post compo. –There’s a recent bug I found that you, as a player, can attack more then once, if you have the health to not die. I honestly didn’t think about this, since I only made the minions unable to do moves after the moved to a different tile. –There are a few typos here and there (mostly fixed in post compo). –You can press the end turn button more then once, making you skip turns and making the enemy AI go a little crazy with power. -Add more capturable bonuses, maybe even more bases. Any suggestions are welcome and much appreciated! Anyway, enough with me ranting! All I can say is that I’m really proud of what I’ve created and that I will continue developing it in the near future. As for everyone else, this Ludum dare truly offered me a lot of amazing games that I enjoyed playing, and I will still continue playing them! At the moment I ranked up 51 coolness but I plan to reach at least 100 till the deadline! Please post your games in to the comments and I’ll try them out!!! Game engine strawpool for Ludum dare. With only about 6 hours left on the clock for the results I just wanted to say that the Ludum dare’s experience was amazing for me. It was my first time participating and I honestly didn’t think it could be so much fun. I learned a lot during the process. I got a lot of very nice feedback on my game and I got some feedback which was maybe not as nice, but fair. Ludum dare showed me that I still have a lot to improve on (especially in the art department -.-) and I’ll be sure to participate in LD 33! 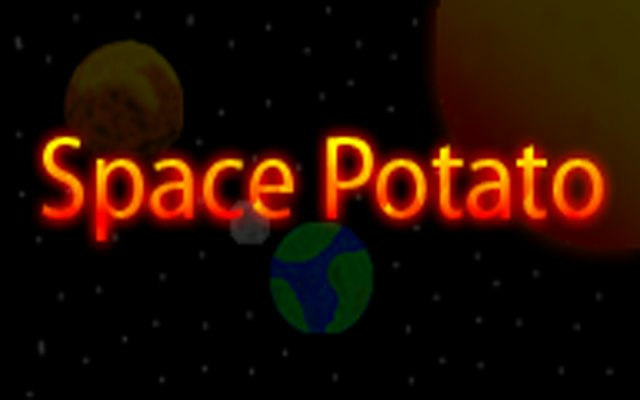 “Space potato” – The Game! So yesterday I finished my game for the LD #32 Compo! Everything was done in a little less then 42 hours (37 hours)! This was my first ludum dare but definitely not my last! I really enjoyed participating and I’ll definitely keep competing! Anyways, enough of the small talk! Let’s get to the game! Join our hero in protecting the faith of the Earth from evil (derpy looking) space squids! Use one of the four randomly dropped potato weapons to protect the Earth and yourself. How long will you last against hordes and hordes of space squid? Let’s find out! Well, first off, I think we should start from the 4 different potato types in the game. Each potato effect lasts for 10 seconds! A new potato is spawned immediately after ones effect runs out! Best use: Fending off single enemies before they come close to the core. Best used during start of the game. Falls off during late game. Mechanic: Each bullet insta-kills the first enemy it touches. Be careful though because it’s range is fairly short. Cool Down: 2.5 seconds (You can spawn up to 4 heals). Best use: The healing potato is used to heal the core (in game “The Faith of Humanity”) or the player. Mechanic: Use the healing potato when needed. It spawns the heals at a fair distance from the player and nothing is stopping you from storing them somewhere further away from the core so they can be used when needed, though you could only heal yourself if stored away( It is recommend to save them on the 2nd or 3rd floor because otherwise they will get pushed back to the core by the enemy). If the heal touches the core, it will heal the core for 150 HP. Otherwise, the player can also use it to heal himself for the same amount of HP. Cool Down: 10 seconds (You can only fire it once). Best use: The Chillato is best used when there is a lot of enemies around, so make sure to make it count since you can only do it once! Mechanic: The Chillato is a little bit more challenging to use, because you can only use it once. Once you use it, an effect as if you were using fire appears and burns all of the enemies you are facing with quite a bit of range (so it is best to sneak up behind huge hordes of enemies while they are attacking the core and destroy the enemies on both sides of the core). The Chillato only destroys the enemies on the side you are facing, so be careful where you aim it! The heat from the fire will stay for a few more seconds and kill any enemies that enter the radius of it’s fire for a few seconds after it’s activation. Cool Down: 4.5 seconds (You can fire it twice). Best use: The AOE Potato is best used when there are enemies on both sides of the player. It’s range is not so large, so try to use it carefully! Mechanic: The AOE Potato creates a radius around the player killing everything in the radius after a 2 second delay. 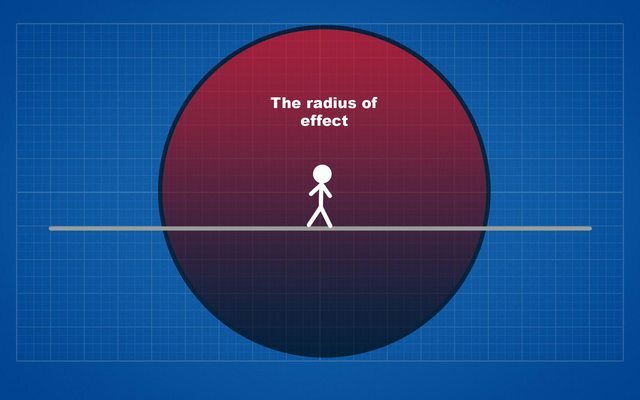 The radius isn’t really big, so you have to make sure to get as much as enemies as possible with it, because it is not a fast attack. There could be quite a bit of confusion on how the enemies interact with the player and the core, so it’s time I clear that our for everyone! 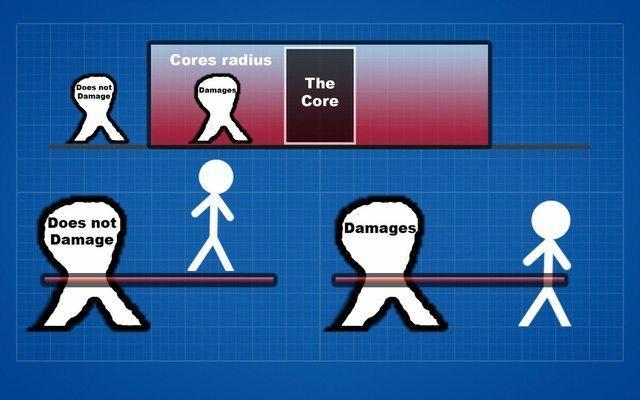 This pic should explain pretty well on how the enemy damage system works! This means that if in time of need and if you have health to spare, you can push out the enemies away from the core to buy some time to potentially get a heal or an AOE attack. And that’s it! That is pretty much all you need to know to become a real space potato pro! The objective of the game is to protect the Earth or survive as long as possible! Well, that’s it for me. You know everything there is to know to master this game and understand how it works! Creating it was a blast, and I don’t plan on stopping! Any and all feedback is very highly appreciated because I plan to continue the game after ludum dare is finished. 22 queries executed in 0.087 seconds.